Lily Jackson, Megan Strecker, Maria Toupin. Vanessa Thomas all take part in the NCWIT Program. On Feb. 15, the girls STEM program at Hollis Brookline took part in the NCWIT (National Center for Women & Information Technology) Award for Aspirations in Computing (AIC). The program awards students for their special skills in technology. This year, Hollis Brookline had 4 Rising Stars and one winner. To commemorate the occasion, the school will be awarded with a trophy engraved with all the girls’ names. The NCWIT program recognizes women from kindergarten to college for their computing and technology skills. 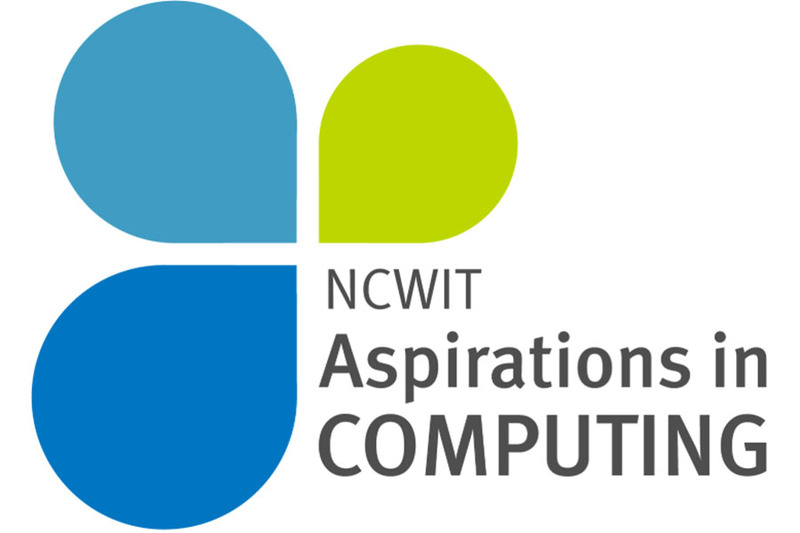 Founded in 2004, NCWIT is a non-profit program that aims to help students improve their skills with technology. The multi-tiered structure includes a variety of awards, such as Winner, Honorable Mention, Rising Star, and Certification of Distinction, that students receive for their accomplishments. This program helps students feel more confident and more passionate for the programs they will be involved in later in their careers. “It feels fulfilling to know that hard work eventually pays off,” said Lily Jackson ‘20, winner of NCWIT. What first sparked Jackson’s interest in these sciences was when“I built my first 3D printer within the time span of three weeks with no instructions” in the sixth grade. The awards for this program are. “An accomplishment that I am proud of in my life, I appreciate this program very much for the opportunity that it provides,” said Jackson. Megan Strecker ‘21(Rising star winner) wishes to pursue her dreams in web page design. “In a time of constant communication and need for information, web page design is one step in the process of increasing the world’s comprehensibility of the internet and its contents,” said Strecker. Any female student in STEM should consider the program; it can bring many opportunities and recognition to young high school students. “It’s a great opportunity for other students to run for this program,” said Strecker. On Mar. 30, all five girls, Winner Lily Jackson, Four “Rising Stars” Vanessa Thomas, Megan Strecker, Erin MacDonald, and Maria Toupin will all be receiving their awards, along with the school trophy for their hard work and dedication to this program.